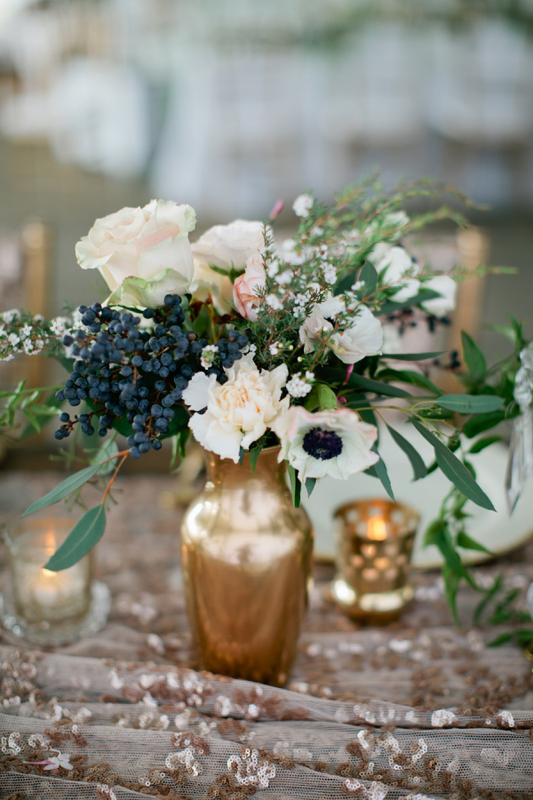 Bright colors, alluring aromas and delicate blooms are a few reasons why many often associate florals with femininity. 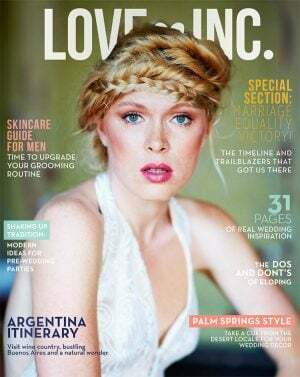 But the truth is, flowers are universal and not all floral types take on stereotypical feminine properties. 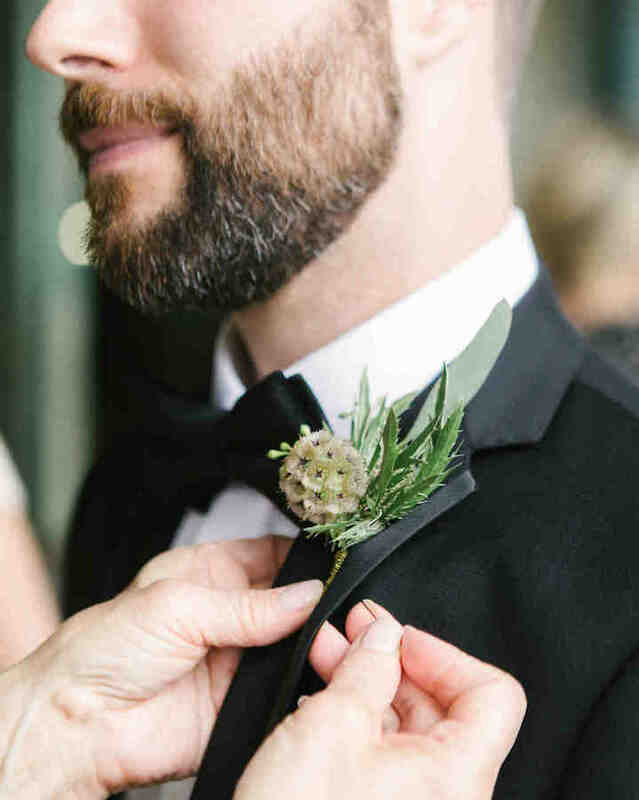 In fact, there are a wide variety of florals and plants that are perfect for more masculine affairs, from lush greenery and deep-toned blooms to eye-catching seed pods and succulents. 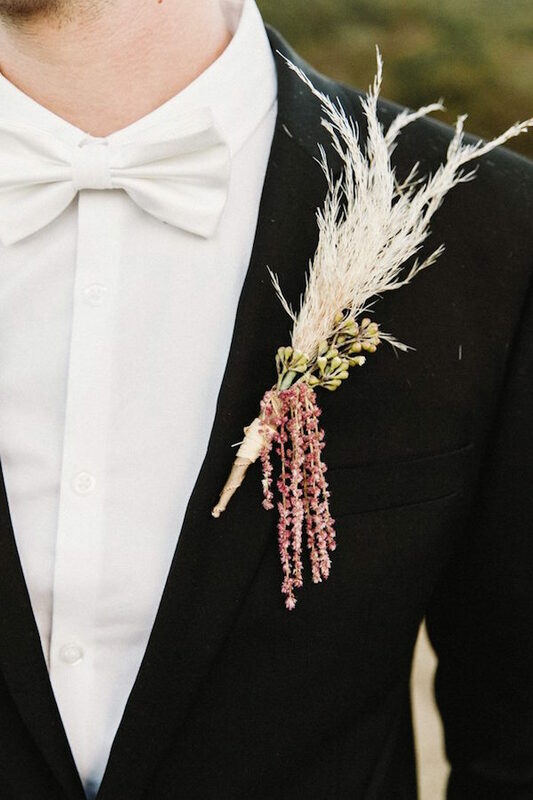 Feminine designs dominate much of what you see on the Pinterest boards and Instagram pages of wedding accounts, but no matter how you plan to incorporate flowers into your wedding day — whether you want to hold a bouquet as you walk down the aisle, attach a boutonniere to your lapel, wear a corsage on your wrist or plan to save the flowers strictly for reception decor — we guarantee you’ll be able to find flowers that fit your vision. 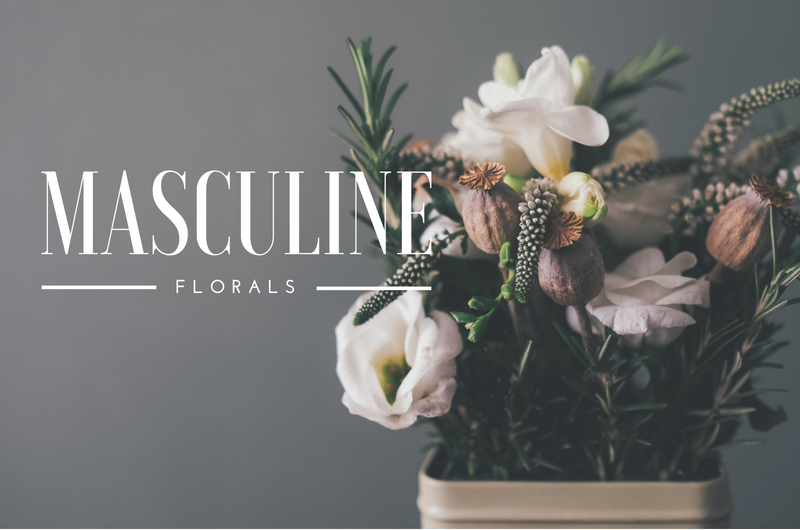 So if you’re looking for masculine flowers to include in your wedding floral design, here are 13 ideas to get you started! 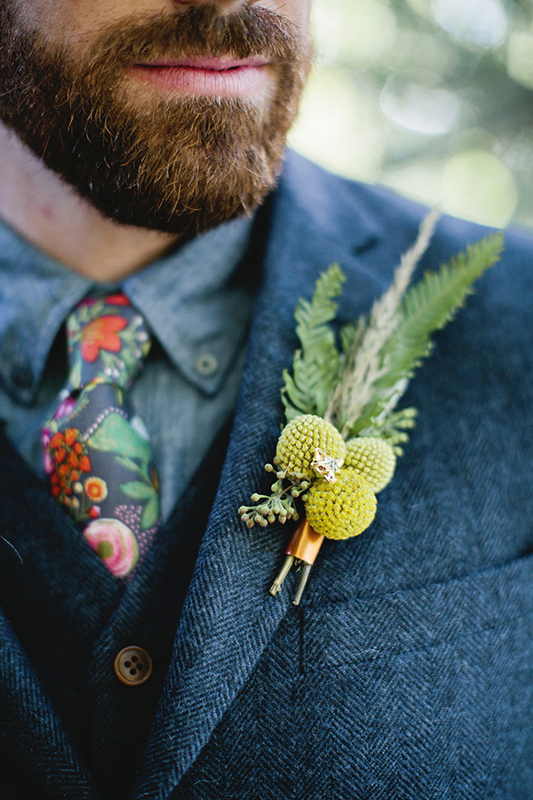 Sleek and stylish, calla lilies are a go-to boutonniere for everything from casual affairs to elegant soirees. 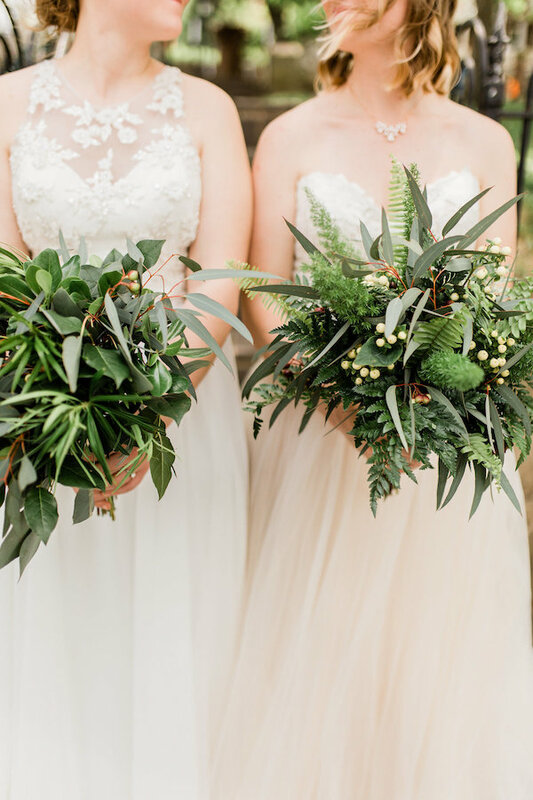 | floral design by Blooming Designs | photo by Christy Kendall Photography | via Love Inc.
Greenery is a popular go-to for all soonlyweds these days, but we particularly love when floral designers go exclusively green. 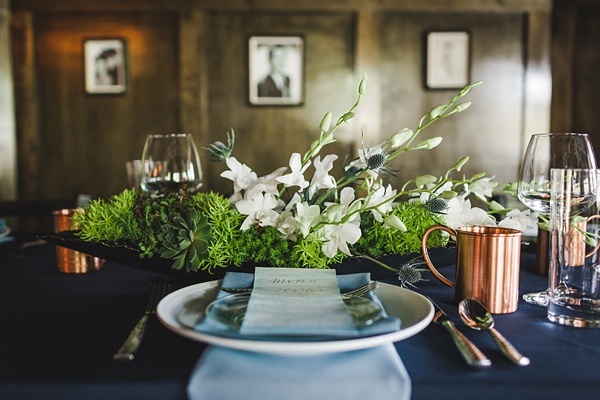 The absence of blooms provide a blank canvas that aligns with any theme or design style. 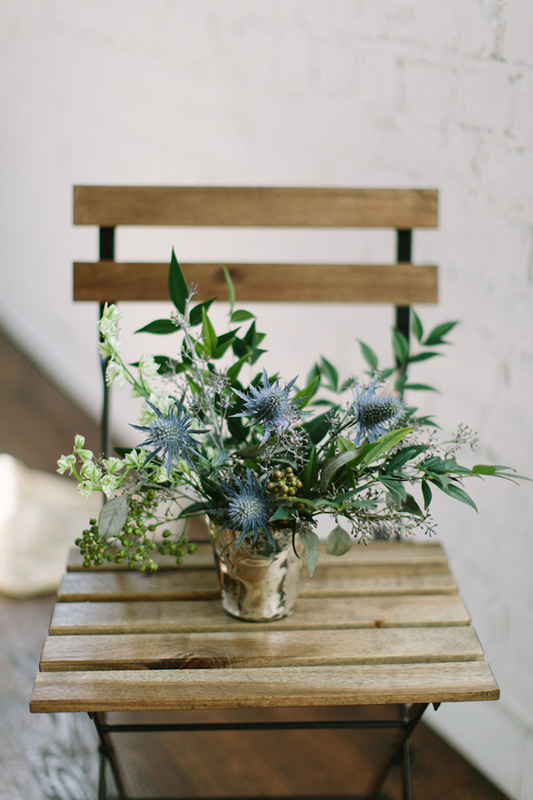 | floral design by Piepmeier, The Florist | photo by Emma McMahan Photography | via Love Inc. 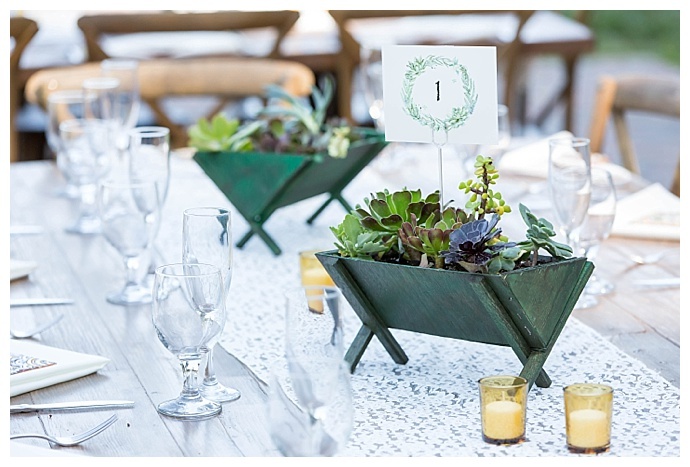 Whether it’s crawling air plants or prickly cacti, succulents are out in force when it comes to wedding decor, and we don’t imagine they’re going anywhere any time soon. 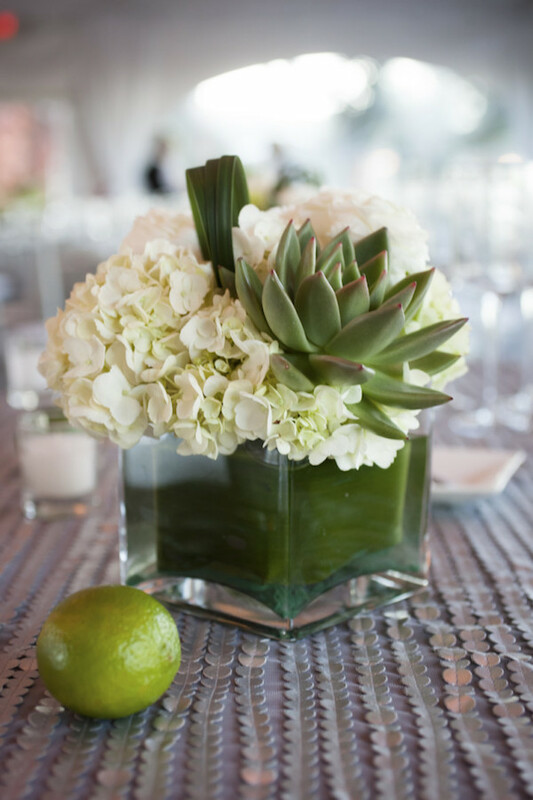 Loved for their organic properties and versatility, succulents are an excellent choice for those who want to take a less flowery approach to their floral design. 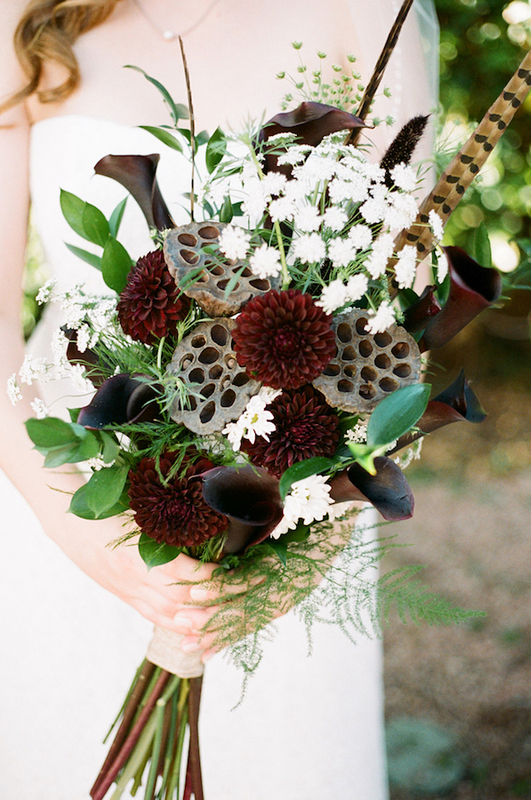 | floral design by Yamaguchi’s Flowers | photo by Maya Myers Photography | via Love Inc. 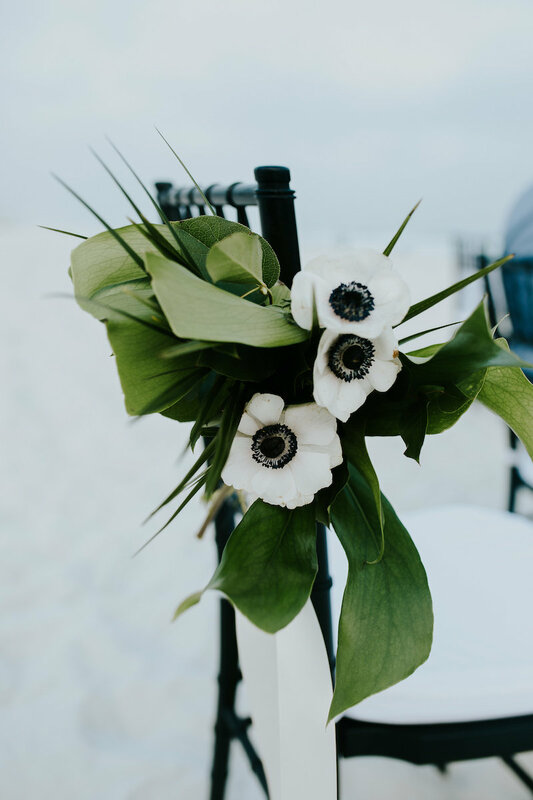 The deep indigo center of white anemones have a romantic quality that exude masculinity. 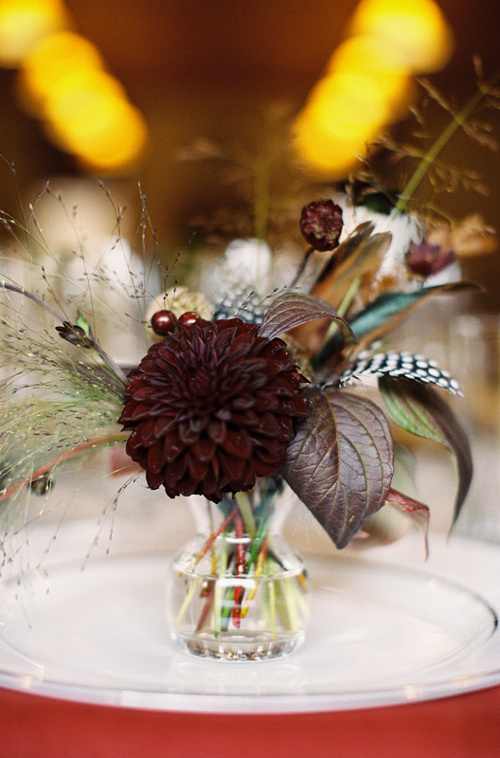 Paired with greenery and earth-toned florals, the anemone puts a dapper touch on any arrangement. 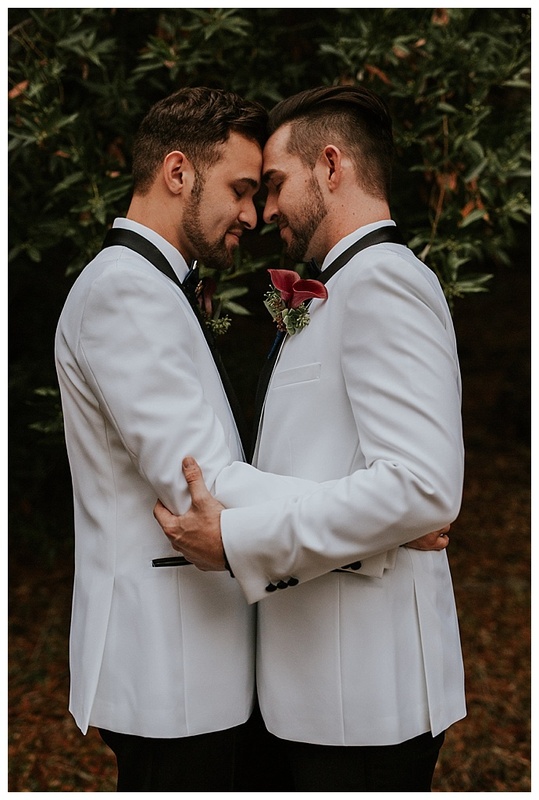 | floral design by Fiore | photo by So Life Studios | via Love Inc.